Multi-talented Proverb shared the news of owning a new Porshe car which got him excited. Despite the news which was said that he and his bae Liesl Laurie had a break up, the TV host choose to make himself happy. 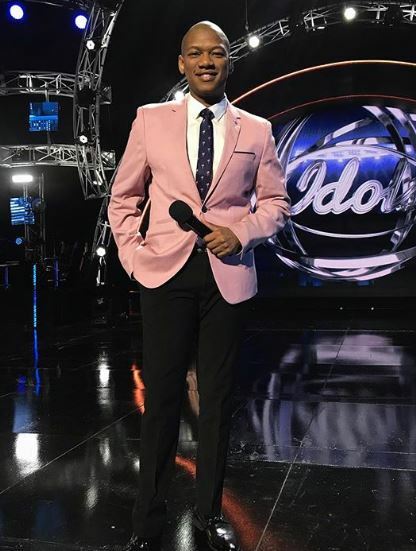 Proverb took to his social media and shared snaps of the new car in which attracted congratulatory from fans. However, fans are still shocked to here the split news between the celebrity couple. Proverb shared a snap of himself standing by the side of his new red car car made him feel good, though he captioned the post with a balloon and no words attached to it.